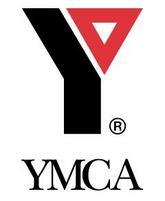 YMCA or Young Men's Christian Association is widely popular across the world and have their national associations spread over 125 centers. The association came into effect and started operation in 1844 under the able leadership of George Williams. The headquarters of the association is located at Geneva. Their greatest influence on human lives was conferred during 1870s to 1930s. However, at a later period they became interdenominational and shifted their priority towards promoting good and morality of citizenship. The World Alliance Office of the organization was established at Geneva on 1878. The organization even started their expansion across European ports.